This tool measures eyes of all sizes in millimeters and inches. 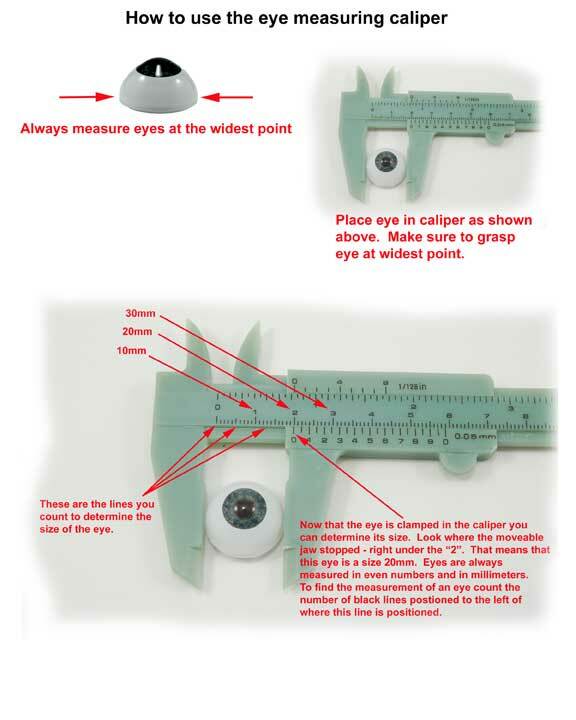 Its easy to use and makes it possible to measure what size eyes you have or need for your doll. Eyes are usually labeled (sized) according to the measurement of their widest point. 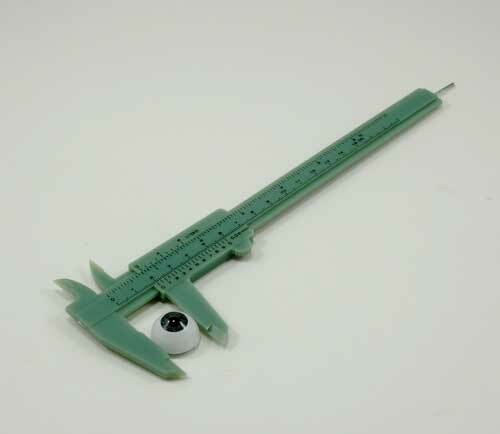 To measure an eye, slide open the measuring jaw of the caliper tool. Place an eye in between the jaws and slide the jaws together trapping the eye at its widest point between the jaws. Read the size as shown on the tool.